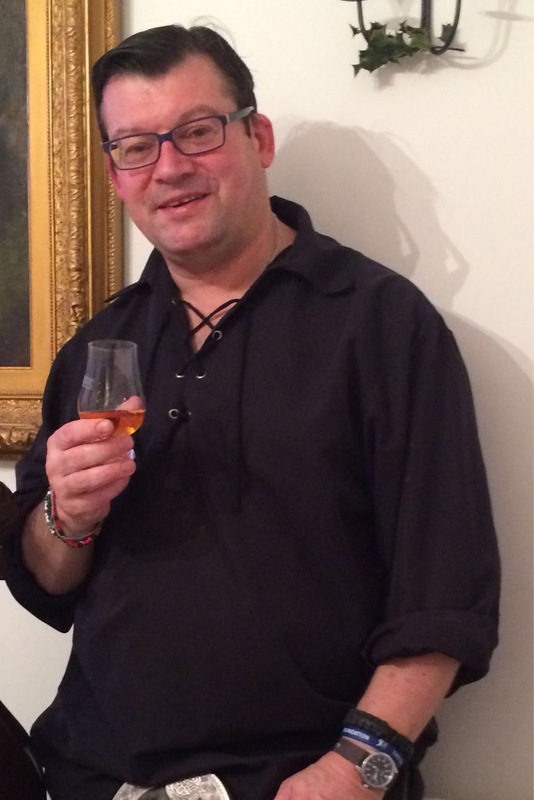 Dominic Roskrow certainly knows his whisky. He is former editor of Whisky Magazine and The Spirits Business. In addition, Roskrow has written nine books on whisky. Like I said, the man knows whisky. So it is with great interest that Roskrow turns his attention to Japanese whisky in his new book, Whisky Japan. 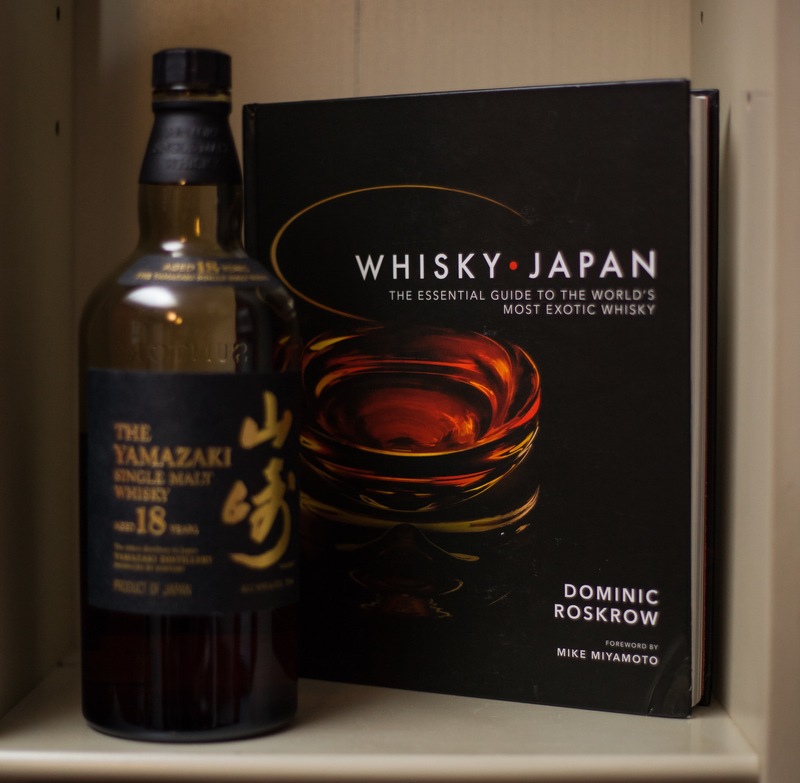 While Roskrow states that Whisky Japan isn’t a “techie” book on Japanese whisky, he comprehensively covers the world of Japanese whisky, including the history of the spirit and it’s current popularity, as well as distillery profiles and tasting notes. He goes a step further by also featuring whisky bars in Japan and worldwide. It’s an informative guide to the world of Japanese whisky, and the perfect start for those interested in the spirit. Dominic, you are no stranger to whisky. As former editor of Whisky Magazine and author of several whisky books, you now turn your attention to Japanese whisky with your new book, WHISKY JAPAN. What drew you here? How do you describe Japanese whisky to someone who hasn’t tried it? There are two ways of making whisky: like the Scots do, in which case you better be very good at it. Or another way, like the bourbon industry or Irish whiskey. Japan follows the Scottish blueprint and is indeed very good at it. So the first thing to say is if you like good Scottish single malt, Japanese whisky will work for you. But that said, it is no pale imitation. They are subtle differences, and Japanese whisky can be subtle and complex. There are big bold sherried whiskies if you want them, big peat monsters if that’s what you like. But there are delicate and fragrant whiskies and through unique techniques and the use of Japanese mizunara oak, there may be a spicy, incense like quality unique to Japan. The Japanese have really created their own style. In the book you mention the “Golden Period” for Japanese whisky (2001-2016), in which incredible whiskies were somewhat readily available for a good price. The current global whisky demand has grown to astounding levels, catching many distilleries off guard. Their answer is to ramp up production and release non-age stated whiskies. What do you think caused the sudden interest in Japanese whisky? It’s a combination of things really. Firstly, there has been a big growth of interest in Japanese culture and particularly food. The film Lost In Translation featuring Bill Murray making an ad for Suntory played a role, but also a thirst for new knowledge combined with more travel, an interest in healthy eating, and the rise of sushi bars, etc. A move to drink less but better, which suited the premium positioning of Japanese whisky, and a move from a generation of affluent 25-35 year olds to discover whisky but not with the baggage of Scotch all appealed. Here in New York all of my audiences have been young, with a great amount of racial diversity and a lot of women. Given what’s happening politically over here, I’m proud of that. But the final thing – and this is documented in the book – was a string of Western authorities praising Japanese whisky and a huge number of independent awards that the whiskies started to receive. This in turn gave the Japanese producers the confidences to promote their whiskies in the West. With more and more people discovering Japanese whisky, how can distilleries keep these young drinkers interested? Is the answer experimentation in the whisky-making process? I always equate Japanese whisky with quality, and I don’t see subpar Japanese whiskies being released into the global market anytime soon. Let’s turn our attention to cocktails. The modern cocktail movement here in the United States is thriving. Describe the cocktail culture in Japan. It’s thriving too. Actually Japan is the best place to drink anywhere in the world. Why? Because you might get a better bourbon bar in New York, and you might get a better single malt bar in Edinburgh, but you won’t get everything mixed like Japan does – its own products mixed with a worldwide alcoholic drink greatest hits package. The cocktail scene has transformed drinking whisky in Japan. A Japanese whisky served long with soda water and an ice ball in a highball glass has become fashionable particularly with young women and transformed the formerly male drinking culture. Japanese whisky lends itself to cocktail, too. Which leads me to my next question – what are some of your favorite Japanese whisky-based cocktails? I’m sorry Bobby, but I can’t really answer that as I don’t drink cocktails. I have no problem with people who do – I think you should drink any way it suits you – but I don’t like mixing whisky with anything including ice. If push came to shove it would be a an Old Fashioned – because I am – but you would have to shove pretty hard. Sorry! No apologies required! There are only a handful of cocktails I really enjoy, the Old Fashioned being one of them. Compass Box is an example of a whisky blender doing some exciting things in the Scotch whisky world. Blending is integral to Japanese distilleries. Is there a “Compass Box”-type blending house in Japan? But yes because in Scotland all distillers swap malts and co-operate with each other, so that they all have a portfolio of malts to make blends with. That doesn’t happen in Japan. There is no cross trading. And what’s more, Suntory and Nikka both have only two distilleries each so they have a problem with blends. There are two solutions: import whisky from elsewhere, or create lots of styles within each of their distilleries. They do both. So in a major Japanese whisky they are making dozens of different styles of malt, often in ways they would not been allowed to in Scotland. And then they are putting them together as Compass Box does. Whisky alchemy under one roof, as opposed to from loads of different sources. An example is Coffey Malt from Nikka. It’s malted barley distilled in a Coffey or column still, illegal in Scotland. It just goes to show the high level of skill and creativity involved. In an age of high demand, increasing prices, disappearing age statements and knowledgeable drinkers wanting quality whisky, where is Japanese whisky headed in the future? It’s hard to know. Almost certainly the Japanese producers are laying down stock for the future and ramping up production like everyone else. But there are plenty who think that the days of very old Japanese whisky are gone, or if they are to return the whiskies will be swallowed up by collectors. A recent release of Yamazaki matured in Scotland in Bowmore casks had no age statement and was widely criticised for having a price tag north of $200. But it didn’t touch the shelves and was snapped up by wealthy collectors and whisky enthusiasts immediately. That’s all bad news for most of us. But that said, the quality of the non age statement whiskies coming out of Nikka and Suntory is very high, and Chichibu is doing a great job of keeping the whisky fan interested. I think we can safely say the future is bright for Japanese whisky but how many of us will be able to afford to bask in its light in the future is another story. Lastly, as the end of the year approaches, what are some of your favorite whiskies (Japanese, Scotch, American, etc) released in 2016? Oh golly! Tough one to end with. It’s tough for me because I have only really tasted whisky I have been working with so there is little traditional whisky in the mix. Now I think about it, I think the East-West whisky I tasted was Bowmore matured in Japanese oak, and not Yamazakai matured in Bowmore oak. And that was my whisky of the year. Elsewhere I have really enjoyed the latest Mackmyra Mitvinter from Sweden, the three Westward releases and the most recent Balcones releases from The United States, and Starward from Australia. You can purchase a copy of Whisky Japan here. Thanks to Kodansha for providing a review copy. As always, all thoughts and opinions are my own.